This page contains a listing of Studio Ghibli video relases that don't fit in on a specific film page. You can order these titles through the anime import stores listed in our Shopping Guide, though some of these titles may be out of print. If you have additional information on any of these titles, information on any titles we missed, or scans of any of the covers, please let us know. A feature-length film shot on video documenting a trip to North America by Miyazaki-san, Suzuki-san and a small entourage in September of 2002. 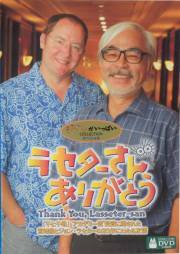 As explained by Suzuki-san at the outset of the film, the footage was originally assembled and sent to John Lasseter as a thank you gift for his efforts on behalf of Spirited Away, as well as for acting as host for much of the trip. Mixed Japanese and English audio with English subtitles. 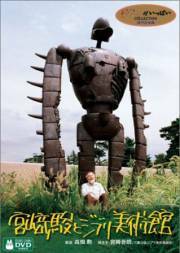 Ghiblies (pronounced with a hard "g" as in "gallop") is a short film aired during a TV special about Ghibli. It's about a fictional animation studio named "Ghibli" and the people who work there. Only Episode 2 is available on video. One disc. Two-part documentary about the production of "Okaasa no Shashin" (Mother's Photograph) by Tsunehiko KAMIJO. 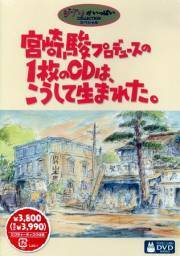 The first part discusses Miyazaki's role in the CD's creation and the second part is a concert by KAMIJO at the Studio Ghibli Museum. Five commercials done for House Foods by Miyazaki are included as a bonus. Created for Nippon TV's 40th Anniversary in 1992. 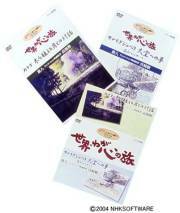 The five TV spots were included with the Ghibli ga Ippai LD Box and Studio Ghibli Shorts DVD. Japanese audio with Japanese and English subtitles. 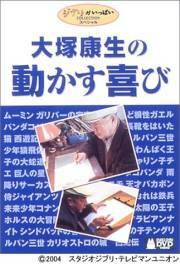 A documentary about Yasuo OTSUKA, the animation director of Cagliostro and Future Boy Conan. Two discs. Japanese audio with Japanese and English subtitles. The documentaries were aired on NHK in 1998 and 1999. 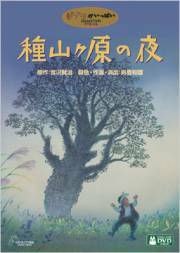 Takahata visits Canada to meet Frederic Back, the animation film maker of "The Man Who Planted Trees." Miyazaki visits France and the Sahara Desert to follow the footsteps of Saint-Expery. 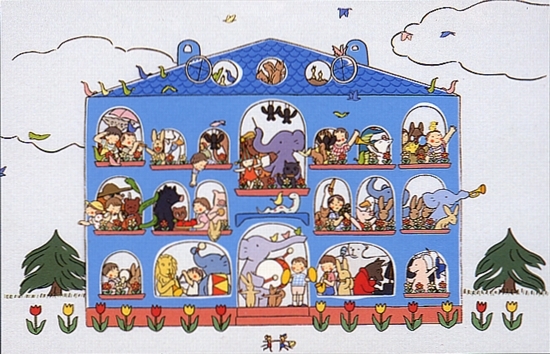 Created for Nippon TV's 40th Anniversary in 1992. This short TV spot was included with the Ghibli ga Ippai LD Box. with alternate English song "Castles in the Air"
KNB YumeDigi PR Spot "Hajimaru yo, Erai Koccha-hen"
Yomiuri Shinbubsha Corporate Commercial "Kawaraban-hen"
Yomiuri Shinbunsha Corporate Commercial "Dore Dore Hikkoushi-hen"
DD 2.0 Japanese audio with Standard Japanese, Regional dialect Japanese subtitles. Directed by Kazuo Oga. Studio Ghibli made a commercial for Umacha, a chilled tea from the Asahi Beverage Company. Included on the Studio Ghibli Shorts DVD.